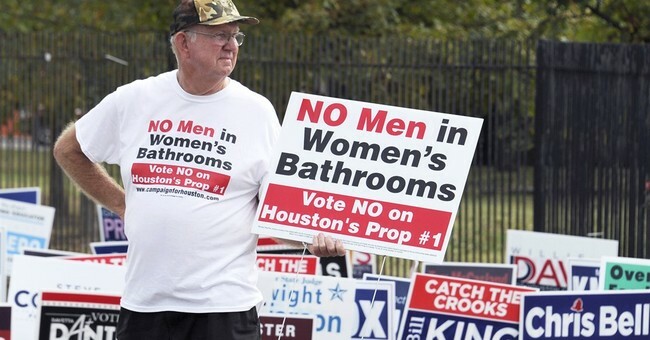 BREAKING: Contentious LGBT nondiscrimination ordinance in Houston fails to win approval by voters. The controversial law generated national attention when the city council passed the ordinance in May of last year by an 11-6 vote. According to the Houston Chronicle, the law was in legal limbo for over a year after challenges from conservatives that ended with the Texas Supreme Court giving the city two options: repeal or hold a referendum. The city chose the latter by a 12-6 vote and the rest is history. The Houston Equal Rights Ordinance, or HERO, which the City Council passed 18 months ago, established sensible protections from discrimination for 15 classes of people. It would have given people with disabilities, like Mr. Abbott, a paraplegic, a mechanism to fight employment or housing discrimination. It would have given veterans, pregnant women and senior citizens a valuable layer of protection and prohibited discrimination based on race, color, religion and national origin. But it was its inclusion of sexual orientation and gender identity that turned a sensible initiative into a nasty national controversy. While the defeat of HERO is a painful setback, it is encouraging that the broader quest for equality for gay and transgender Americans is advancing steadily. On Monday, the Department of Education backed a transgender student in Illinois who is fighting for the right to use restrooms and locker rooms on campus like any other female student. It was the federal government’s latest action in a civil rights movement that is redefining how the nation views, and treats, transgender Americans. When that movement achieves irreversible momentum — and it is a matter of when, not whether — people like Mr. Woodfill, Mr. Abbott and Mr. Patrick will be remembered as latter-day Jim Crow elders. Their demagogy is egregious because it preys on some of the most vulnerable people in our society. As opponents of the ordinance celebrate their victory this week, transgender people across the country are understandably reeling. They should take comfort in knowing that history will not be kind to the haters who won on Tuesday. In time, the bigots are destined to lose. First, it’s still a bit disconcerting that liberals have to continue pointing out that Gov. Abbott is in a wheelchair, and use that as a political punching bag. Second, the use of the Jim Crow attack in any of these matters is interesting since the Democratic Party was the brainchild of such policies during Reconstruction. Third, the failure of this ordinance resting with its supporters isn’t far-fetched. In September, city attorneys filed a subpoena to five Houston pastors. A video of David Welch, of the Houston Area Pastors Council, appeared that gave the attorneys reason to believe some Houston pastors were electioneering from the pulpit, which violates the section of the tax code that grants churches their tax-exempt status. For progressives, I’m sure this isn’t a problem. They’re all for government actions that only further centralize power with the state, but most Americans see this as a problem–as religious liberty is a pillar of this country. About five months later, the nation was embroiled with this debate after Indiana passed a religious freedom bill of its own. It was seen by the left as a tool to freely discriminate, despite that fact that 40 percent of states have similar laws on their books, its modeled after the federal Religious Freedom and Restoration Act, and RFRA has seldom, if ever, been used successfully by marriage-related businesses to defend their refusal to serve a gay couple. Conservatives rightfully feel like our way of life is under siege. Health care, religion, guns, speech, and many others have come under assault by the federal government (i.e. Obamacare, gun control), college administrations with their asinine speech codes to prevent delicate snowflakes from getting their feelings hurt that’s bolstered by the brainless legions of the politically correct, or those in LGBT community who think if you’re for traditional marriage–you’re a bigot. No, New York Times, Jezebel–not everyone in Houston is a bigot. They may have been misinformed, but it does bring up a legitimate debate, though it mostly rests within feminist circles, about whether a trans woman is indeed a woman. It’s a popcorn moment for conservatives since it seems to be an issue that has the feminist community on the brink of civil war. But I can see how Middle America would find it outright bizarre that a trans woman with male parts considers herself a … woman. Much in the same way how could they be puzzled that a white person can identify himself or herself as black. I'm sure this won't be the last time we hear about these ordinances. Then again, can we safely say that both sides in some way screwed up here? The mayor's office issuing an ambiguous subpoena, and conservatives focusing on language in the bill that was stripped many months prior.